Jonathan Bryce, the executive director of the OpenStack Foundation, kick-started OpenStack Summit Boston by quoting a tweet: "OpenStack is as good as dead." He was referring to the continuous flow of stories that OpenStack is losing momentum. He presented a fact-based counterargument demonstrating the continuous growth of OpenStack. The Foundation conducts regular surveys to keep a tab on usage. According to the latest survey, OpenStack deployments have grown 44 percent year after year. 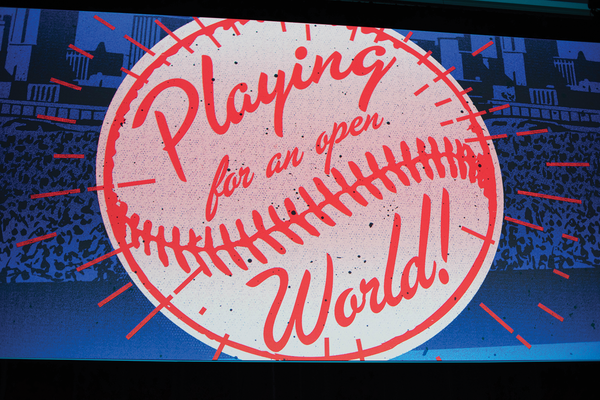 Bryce said that more than 50 percent of Fortune 100 companies are running OpenStack. It's a global phenomenon. OpenStack is powering over five million cores of compute power, spread across 80 countries. And two-thirds of these deployments are in production. Bryce cited some of the reasons behind this growth. One reason is the evolution of the ecosystem and usage beyond hyperscale public clouds. He called it the second generation of cloud where a new consumption model has popped up – the remotely managed private cloud. It allows companies of all sizes to consume OpenStack. The bottom line is that OpenStack is far from "as good as dead." These are signs of OpenStack's very healthy and organic growth. However, with great growth comes great bloat. OpenStack paid a heavy cost with initial growth and interest in the project. As new and established companies started getting involved in OpenStack, they began creating sub-projects around OpenStack, which led to what Mark Shuttleworth called "BS-as-a-Service." This all led to unnecessary bloat and confusion around OpenStack. The OpenStack Foundation organized a leader's summit to discuss these issues. OpenStack Foundation's Lauren Sell (VP, marketing and community services) and Thierry Carrez (VP, engineering) discussed the steps they have taken to cut down the bloat and improve communication to eliminate confusion around what's part of OpenStack and what's not. They also improved the process to create new leaders as OpenStack is growing globally. Sell also stressed the importance of working with adjacent communities, like Kubernetes, that play a critical role in the OpenStack ecosystem. Bryce invited Patrick Weeks, senior director of cloud, automation, and operations at GE Healthcare, to deliver a keynote speech about the work they have done to consume private cloud. Weeks was followed by Beth Cohen, cloud product technologist at Verizon, who talked about edge computing and how Verizon is using OpenStack to power a cloud-in-a-box system that's as big as a home router. One of the highlights of the day was a keynote speech by Major Julianna Rodriguez (Director) and Chris Apsey (Deputy Director) of the Cyber Technical College at the US Army Cyber School. The school is moving away from legacy technologies and heavily adopting open source and OpenStack to allow cyber warriors to protect US assets from cyber attacks. Bryce also sat down with Jim Whitehurst, the CEO of Red Hat, to talk about OpenStack's governance model, which enabled OpenStack to have one upstream (i.e., one upstream project in which everyone contributes – no forks) that allowed the ecosystem to grow. 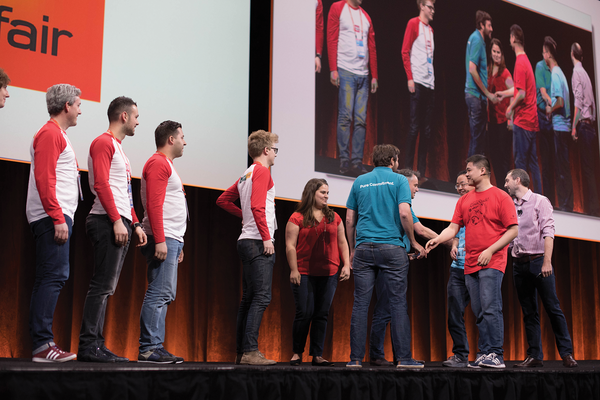 The general sessions concluded with the announcement of the OpenStack Superuser Award. This year the award was shared by two companies – Paddy Power Betfair and UKCloud. Mark Collier, OpenStack Foundation's chief operating officer, led the second day of the Summit. Collier talked about the critical role computing power is playing in our world and went as far as saying that we have reached a point where all science is computer science. That also means that the community has a massive responsibility to build tools that can be reliably used by all disciplines and more importantly for those tools to be accessible. That's where Collier mentioned that the open source first methodology is accepted as a best practice when you are solving a complicated problem. "Open Source is the best way to solve hard problems," Collier said. Collier's sessions are known for live demonstrations, and in this case featured technology demos including CockroachDB, Ironic/Neutron, and deployment of Cinder as a standalone service through containers. Living up to OpenStack Summit tradition, Brad Topol, IBM distinguished engineer, organized the interop challenge where more than a dozen engineers representing different companies performed a mega demo to deploy the same solution across different clouds. This time there were 16 participants, which means the same script was deployed across 16 different clouds within a matter of minutes. The highlight of the second day was the live interview with the former NSA contractor, Edward Snowden. Snowden was interviewed by Collier through live video conferencing from Russia. One might wonder why a whistleblower was at a commercial conference all about cloud. Snowden touched upon the core points that build a case for private cloud. Comparing OpenStack private cloud with public cloud, Snowden said, whether you are a small business, a large business, or a community of technologists, you can own it, control it, and shape it. "You can build, you can lay the foundation upon which everybody builds, and I think that's probably one of the most powerful ideas that shapes the history of the Internet and hopefully will allow us to direct the future of the Internet in a more free, rather than more closed way," said Snowden. Questioning proprietary technologies when there are security flaws, Snowden went on to say, "We can't evaluate if their response was positive or negative, if it was good enough, or not good enough, and ultimately even if we don't like it, we have no influence over it." Snowden said that the point of open source is that we don't have to compromise. "We want a better world, and so we're going to build it," he said. 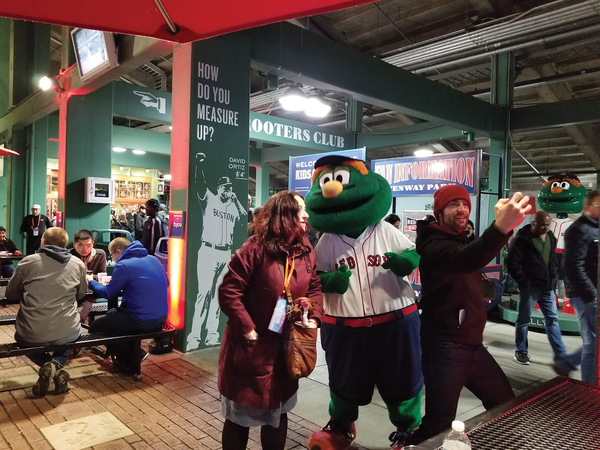 OpenStack is also known for throwing great parties, and this year they took attendees to Fenway Park, the Boston Red Sox stadium. In addition to a visit to the historical stadium, they also offered food and drinks – in a "free as in beer" manner!